Need a new ride for the family? Compare the biggest names in the sedan game with Canstar Blue’s customer review and ratings. Canstar Blue research finalised in January 2018, published in March 2018. BMW has taken the honours for the sedan market, scoring five stars across a range of categories, including overall satisfaction, after sale service, point of sale service, driving experience and car servicing. When it comes to buying a new car, there’s a lot to consider. Brand, model, car type, transmission type, size, style and extras are all up for consideration, making the process somewhat complicated, especially if you’re not exactly sure what you really need or want. The added pressure of the price tag can also put some people off, with a new car by no means an easy financial commitment. For Australian motorists, the sedan is often a popular choice, with many purchasing for its size and storage capabilities, making it perfect for families and road trips. But while a sedan may conjure the image of classic Aussie icons, this year a European flavour has taken out top spot. 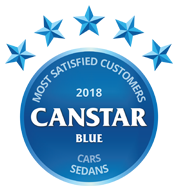 Each year, Canstar Blue surveys hundreds of motorists who have recently bought and driven a new sedan to find out about their personal experiences, so you are a little more informed before heading to the dealer. Respondents provide their feedback on a range of important factors relating to their car’s performance as well as the customer service credentials of the manufacturer itself. This year, more than 600 drivers took part in the research, with a new winner crowned in the sedan category. BMW tops the list, scoring five stars for overall satisfaction, as well as driving experience, point of sale service, after sales service and car servicing. Ford, Honda, Hyundai, Mazda and Toyota all scored four stars overall. Honda and Mazda both earned top marks in terms of reliability, while Toyota and Hyundai were the only brands rated five stars on value for money. 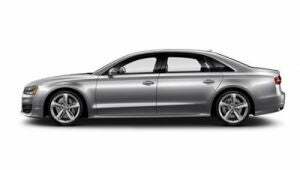 Audi and Holden each finished with three stars for overall customer satisfaction. We suggest keeping these ratings in mind the next time you’re in market for a new car, though we do appreciate that not everyone can afford a new BMW! They say ‘you get what you pay for’ and that will likely be the case with BMW. But depending on your personal needs and budget, you might find great value from a number of other brands featured in this report. To help you decide, here is a guide to the eight brands in our 2018 review and what they can offer motorists looking for a medium-sized car. Taking out top spot in this year’s review, BMW scored five stars in most research categories, with the German manufacturer the only brand to receive top marks for overall satisfaction, after sale service, driving experience, point of sale service and car servicing. It also scored four stars for reliability and value for money. While deeming its range ‘Luxury Sedans’ might seem a bit arrogant, BMW looks to back up the statement, with a wide variety of performance and family sedans available for consumers. With choices including the 3 Series, 5 Series and 7 Series, all including a variety of model types such as hybrids and touring, BMW seems to have it all, regardless of your driving style. For those keen on getting their hands on a BMW, a new Series 3 G20 model is set to be unveiled in 2019, giving drivers another option to consider. Maintaining its four star overall satisfaction rating from last year, Ford has continued to be a popular option for Australian motorists. Scoring four stars for after sale service and car servicing, Ford was also awarded three stars in the remaining categories. While the classic Falcon may be taking a backseat to the newer models, Ford still has a wide range of sedans for consumers to choose from, including the Mondeo and Focus, all available to suit your driving needs. While it might be slowing down in some aspects, Ford is still focussed on the Australian market, with a new Focus set for a 2019 release. With the Japanese manufacturer’s Accord almost synonymous with the sedan class, Honda has delved deeper into the market with the inclusions of its City and Civic models for customers to enjoy. Scoring four stars for overall satisfaction, after sales service, driving experience, point of sale service, value for money and car servicing, Honda was a solid performer this year, also rating five stars for reliability. The company is also poised to bolster its sedan ranks, with a new hybrid set for a 2019 release. The Honda Insight looks to please environmentally-conscious drivers, as well as those after a good family car, so be sure to keep an eye out as more news is released. 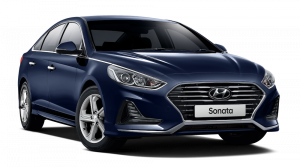 Maintaining a strong satisfaction level with Aussie drivers, Hyundai has again earned four stars overall, with the Korean manufacturer scoring four stars across all categories, with the exception of a five star rating on value for money. With Hyundai’s sedan range consisting of the i40, Elantra and Sonata models, it gives consumers plenty of options, whether they’re after a ‘sporty’ model or something for the whole family. For those who tend to put their foot down, Hyundai has an ‘N’ performance series currently in production, although the company remains tight-lipped as to whether this will include a sedan model. Another brand to carry over its four star rating into the new year, Mazda scored four stars in a variety of categories, including after sale service, driving experience, point of sale service, value for money and car servicing, while also scoring five stars for reliability – one of only two brands to do so. With Mazda’s sedan range consisting of the Mazda2, Mazda3 and Mazda6, the Japanese manufacturer has all sizes covered, allowing drivers a wide range of options, regardless of their driving style or preferences. A new concept Kai model has been announced, with Mazda hinting at the possibility of an expansion into the sedan range. Boasting a strong line-up of sedan models, Toyota has long been a popular option for many drivers and families. Scoring four stars for overall satisfaction, Toyota also scored five stars on value for money, with four stars in the remaining categories. With a range including the Corolla, Camry and Prius, Toyota has something for everyone, with the Prius remaining one of the most popular hybrid cars available on the market. A new Corolla sedan model is set to be showcased at the next Geneva Motor Show, with further hybrid models also potentially on the cards. Rounding out this year’s results, Holden was rated three stars for overall customer satisfaction, with four stars for driving experience and reliability, but three stars in the remaining categories. 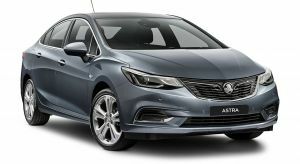 With the classic Commodore leading the way, Holden also produces its Astra in a sedan model, giving drivers that small car feeling but with enough space for the family. With the company looking to focus on overseas markets, Holden hasn’t announced any new releases or updates for its Australian range, leaving drivers to choose from the current stock. Should I buy a Sedan? Sedans offer a range of options for motorists, allowing plenty of space for families, or for storage if you’re a weekend adventurer. With plenty of sport and hybrid options, sedans offer a middle ground for those who aren’t entirely sure what type of car they’re after, as well as having plenty on offer for those who know exactly what they want in a car. Despite the range on offer, choosing a car, regardless of the model type, can be a tough decision. Each car will feel differently when you’re behind the wheel, and you’ll want something that feels responsive and safe, while also comfortable for you and your passengers. It’s always recommended to do your own research when it comes to big financial decisions like a new car, with car dealerships more than happy to take you for a test drive or to help your through the process. Before you sign on the dotted line, however, you’ll have to remember that driving out of the dealership isn’t the end of your expenses, with costs such as stamp duty, insurance, registration as well as tyres and servicing costs likely to stack up if you don’t keep an eye on them. Buying a car is exciting, but it’s also a financial commitment that can cost you if you’re not careful. 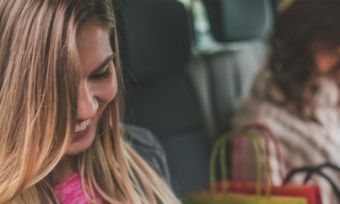 Canstar Blue surveyed 9,000 Australian adults across a range of categories to measure and track customer satisfaction, via ISO 26362 accredited research panels managed by Qualtrics. The outcomes reported are the results from customers within the survey group who have purchased a new sedan from a dealership in the last three years – in this case, 662 people. Petrol comes in E10, E85, 91, 95 and 98 Octane blends. Most cars can get by with E10 or 91, but some cars need higher. 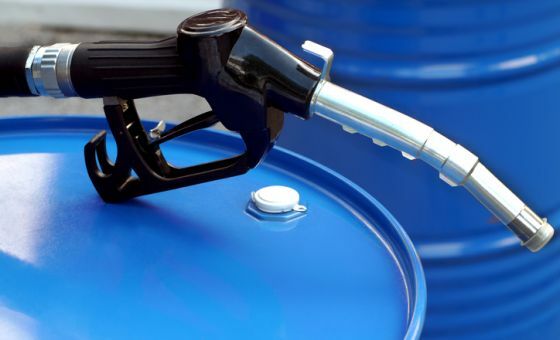 Find out which fuel your car needs at Canstar Blue. 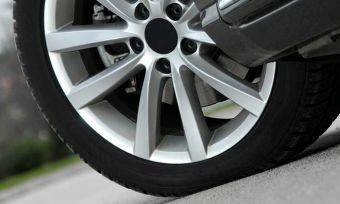 They are two iconic car tyre brands, but which one comes out on top? 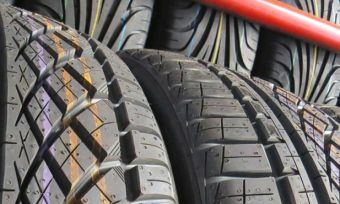 Read our review of Bob Jane and Goodyear at Canstar Blue. 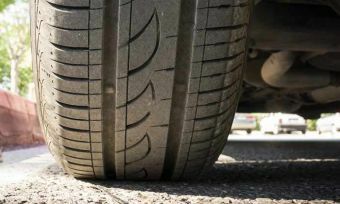 Michelin and Bridgestone are both kings of the racing circuit, but which is the best on our city roads? Find out at Canstar Blue. Compare two of the world’s leading tyre manufacturers, Dunlop and Goodyear. Which offers the best value? Find out at Canstar Blue.